Valda Mežbārde, resident of Daugavpils, was born in 1946, Riga. In her childhood she read and drew much and avidly. Later she studied art in J. Rozentāls Art Secondary School and in Art Academy of Latvia. In the late 60-s and early 70-s of the 20th c. she worked as a photographer at the Latvian Art Museum where she had the opportunity to acquaint herself with the original works by Latvian artists, with work of organizing exhibitions and the world of art people in general. In 1973, the artist arrived in Daugavpils. This was the time when a lot of young artists came to live and work here. Later, many of them left the city, but Valda’s work had always been linked with Daugavpils and the art life of the city. In 1974, Valda Mežbārde became a member of Latvian Artists Association, and at that time her membership contributed much to livening up the life of Daugavpils artists. She was also one of the organizers of Art Day activities in Latgale. She has participated in painting art plein-airs, has pained much and intensively, and has also tried her hand at big-size and monumental mural paintings. She has been participating in exhibitions since 1969. The artist has had more than 15 solo-exhibitions held in Latvia and abroad. 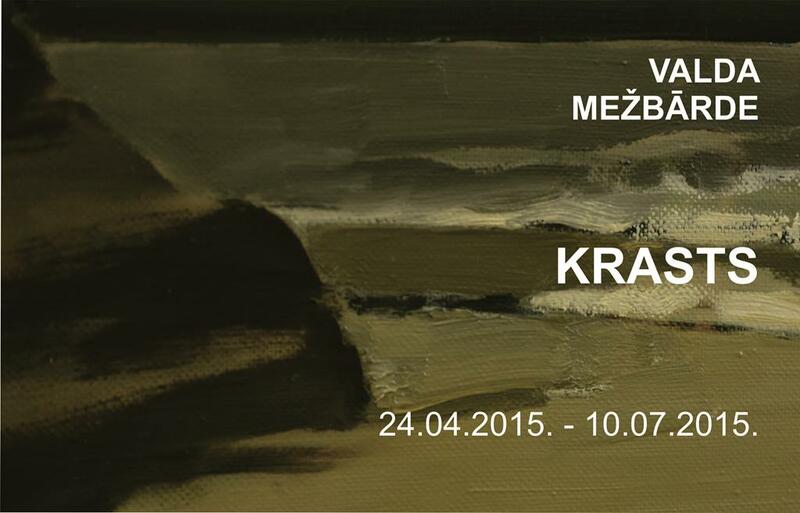 In the exhibition “The Shore”, Valda Mežbārde shows to viewers her newest works. The shore and the horizon have always been close images and a source of inspiration for the artist, and to them she comes back again and anew. Semantically they relate also to Valda Mežbārde’s artistic style – her canvases have typically an expressive compositional structure and a rational, sometimes slightly reserved attitude to color. Her paintings also visually remind of the shore from which gusts of wind have blown away everything that is excessive.